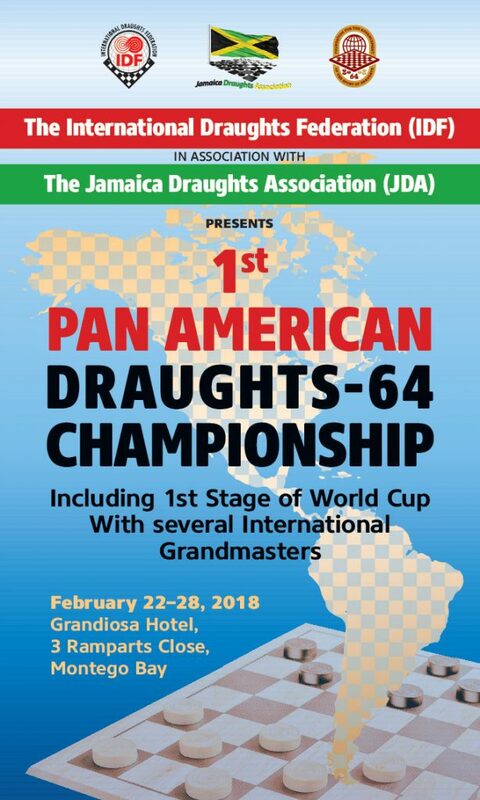 International Draughts Federation (IDF) together with Jamaica Draughts Association (JDA) in accordance with the calendar of the competitions 2018 held from 22 till 28 February 2018 in Montego Bay (Jamaica) 1st Stage of World Cup 2018 in draughts-64 – International competition “Jamaica-2018”. Competitions were held with the support of the Fund for Promoting the Development of Draughts Sport “Russian Draughts”. International grandmaster, ex-world champion Arunas Norvaishas (Lithuania) won Rapid and Classic program. International Master Aleknavicius Vilius (Lithuania) won Blitz program. 27-02-2018 1st Stage of World Cup 2018 in draughts-64 was completed today. International grandmaster, ex-world champion Arunas Norvaishas (Lithuania) won Classic program. International master Vilius Aleknavicius (Lithuania) took second place and International master Evgenii Viaznikov is on third place. The closing ceremony all competitions took place at the evening. Winners of the competitions in all programs were awarded with cups, official diplomas and medals. All participants received diplomas for participation and memorable souvenirs from organizers. The prize fund of the first Pan American Championship and the first stage of the World Cup was 5000 dollars. 26-02-2018 4th and 5th rounds of the 1st stage of the World Cup were held today. 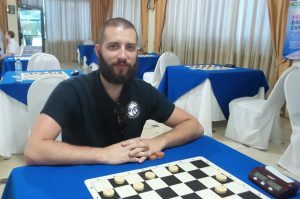 After 5 rounds International Grandmaster Arunas Norvaishas (Lithuania) leads with 9 points. Vilius Aleknavicius (Lithuania) with 8 points is on second place. 4 players have 7 points each. The sightseeing bus tour around Montego Bay for participants of the Pan American Championship and the World Cup stage was held this afternoon. See photo. 25-02-2018 Classic program of the 1st Stage of World Cup 2018 in draughts-64 started today. Competition is held by the Swiss system in 7 rounds, in international/Russian version of draughts-64, micro-match of two games, draw of moves and positions, time control 15’+ 10″. 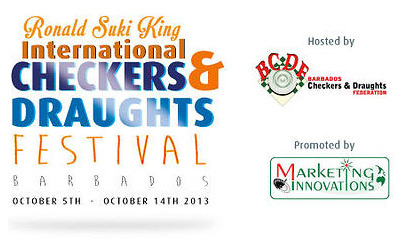 23 players from 8 countries take part in the competition. 24-02-2018 International Master Aleknavicius Vilius (Lithuania) won Blitz program of the 1st Stage of World Cup 2018.
International masters Evgenii Viaznikov and Dmitrii Melnikov (both Russia) are on the second and third place, respectively. International grandmaster Arunas Norvaishas (Lithuania) is on 4th place only. 24-02-2018 Blitz program of the 1st Stage of World Cup 2018 in draughts-64 is held today. 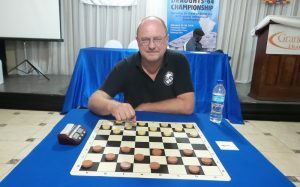 Competition is held by the Swiss system in 8 rounds, in brazilian version of draughts-64, micro-match of two games, draw of moves and positions, time control 3’+ 2″. 23-02-2018 International grandmaster, ex-world champion Arunas Norvaishas (Lithuania) won Rapid program of the 1st stage of the World Cup. 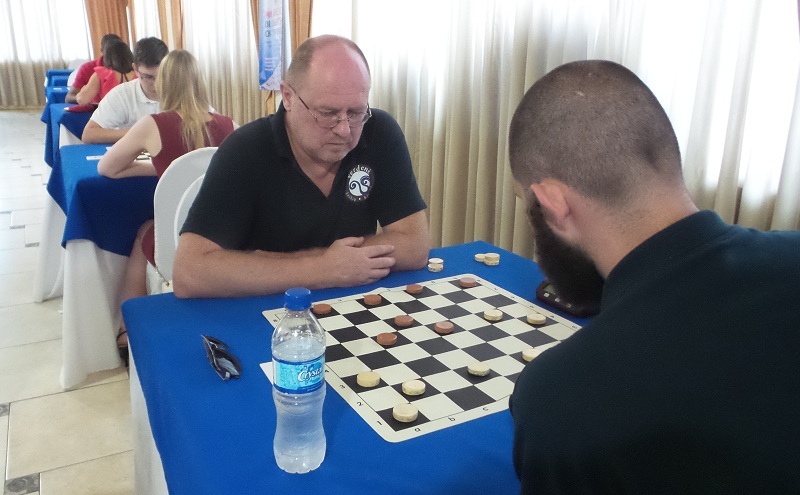 23-02-2018 The 1st Pan American Championship and the 1st Stage of World Cup 2018 in draughts-64 started today in Montego Bay, Jamaica. The opening of the competitions was held at 9am and the Rapid program of the 1st Stage of World Cup 2018 in draughts-64 started at 3pm. The Rapid program is held by the Swiss system in 7 rounds, in pool checkers version of draughts-64, micro-match of two games, with draw of moves and positions, time control 5 ‘+ 3 “. 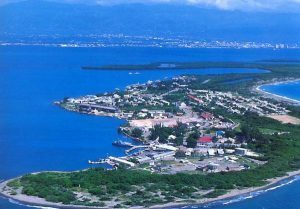 21 players from 8 countries came to the start of Rapid program of the 1st Stage of World Cup: USA, Canada, Jamaica, Haiti, Barbados, Trinidad and Tobago, Russia and Lithuania.